To understand the future of the British royal family, we must examine how the monarchy began—and why. 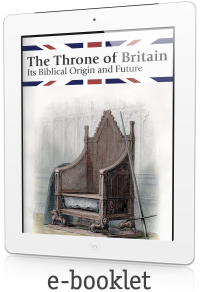 Today, though, it seems that despite multiple nations still looking to Queen Elizabeth as their head of state, the British throne’s glory days are over, particularly with more and more calls heard for its abolishment. But what really lies ahead for the monarchy? What is the scepter promise and to whom does it belong? There was an unbreakable promise of an unbreakable dynasty—a dynasty preeminent above all others! But what happened to that dynasty? And where is it today? Because of Solomon’s disobedience, God split the nation into two kingdoms following his death in about 930 B.C. (1 Kings 11-12). Beyond the messianic reference in the scepter prophecy (Genesis 49:10 The sceptre shall not depart from Judah, nor a lawgiver from between his feet, until Shiloh come; and unto him shall the gathering of the people be.) God gave many other prophecies about the Messiah in Scripture. The obvious question now is: Did the Davidic dynasty come to an end with the death of Zedekiah and his sons—or did it somehow survive? Based on God’s prophecies, a few evidently made it back to Judah. But what about Jeremiah, Baruch and the kings daughters? Where did they go? Here is what the latter part of Jeremiah’s commission was all about. Remarkably, he must have been responsible for transplanting the throne of David to Israel by taking a daughter of King Zedekiah to the 10 lost tribes. Yet where did the Israelites live at this time? Brief history of the Tuatha de Danaan. The land of Spain and Portugal, it should be mentioned, is also known as the Iberian Peninsula. Note that the Scythians from Spain were known as Milesians—a name replete throughout the Irish annals. The Trojans were forced out of the Aegean region through a series of national conflicts—one of which is presented to us in the famous Trojan War of Homer’s Iliad, which occurred around 1200 B.C. How God would fulfil the specific promises to David, who was descended from Perez? But couldn’t the throne have been transferred elsewhere for a long time before being transferred to the British Isles? The indirect answer from prophecy seems to be no. Ollam Fodhla’s laws bear striking similarity to the Ten Commandments and other Hebrew statutes. Yet it must be admitted that none of this is certain. Indeed, even though there appear to be many more similarities between Jeremiah and Ollam Fodhla, Ollam appears in the Irish king lists as a king and sometimes as one who reigned centuries before Jeremiah. If Ollam Fodhla was indeed Jeremiah, his identification as a king is fairly easy to reconcile. It could have resulted from his appearing to be the father or grandfather of the eastern princess he brought with him—or, even more likely, confusion over his being a great lawgiver. Concerning the names Tea, Tephi and Tamar, while they may refer to the same person at the time of Jeremiah, it is also possible that they do not. In favour is the fact that these names are sometimes linked together in old Irish poems. Our proof rests on God’s Word and verifiable history. We must accept these sure facts as a solid foundation. Irish traditions and fragmentary historical details can then be viewed in this light—and that indeed does seem to fill in some interesting and supportive details. We should be even more cautious when it comes to genealogies and histories outside the Bible, which are debatable. While they can be interesting and enlightening, they can also become a drain on our spiritual energies if we spend inordinate amounts of time in researching them. Besides what we’ve already seen, there are other corroborating factors connecting the line of David with Ireland. Now we can see why the British royal family rose under Queen Victoria to the heights of world prestige and preeminence. Why it continues to hold a special place in the hearts of all manner of people the world over. And why, of all royal families, it is still the first one that comes to mind. How much longer do you think the monarchy will last? Here are a few sources to help unveil this question. A brief history of the Aegan Royal lines from Zerah. Is it possible to identify Calcol or Chalcol as Cecrops of Athens and still relate his name to the people of Colchis? What is the connection between Brutus and the Covenant land? Unfortunately, the dating of the Milesian arrival in Ireland is an area of broad dispute. But there are factors that should help us in forming a reasonable answer. What was so special about this chunk of rock, which now sits in Edinburgh Castle? 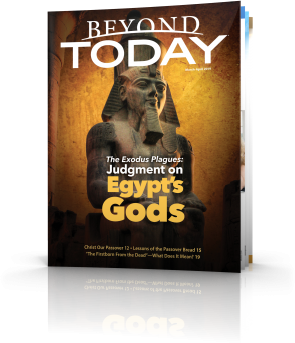 We should examine this in greater detail—particularly their connection to the time of Moses and the Exodus. Britain’s heraldic imagery takes on great significance in light of the true biblical identity of the British people and their royal family. The various royal houses of English history—the Saxons, Danes, Normans, Tudors, Stuarts, Plantagenets, Hanoverians, Saxe-Coburgs, all lines blended and fused with Scottish royalty to form the modern House of Windsor—trace their bloodlines back to a common ancestor. Jesus had other family members who were also of the line of David. We have elsewhere seen that the royalty of Europe is descended from Judah’s son Zerah, in accordance with the prophecy that the scepter would not depart from Judah (Genesis 49:10 — The sceptre shall not depart from Judah, nor a lawgiver from between his feet, until Shiloh come; and unto him shall the gathering of the people be). Indeed, the royal house of Britain is a fusion of the lines of Zerah and Judah’s other son Perez through his descendant King David. Because of intermarriage, the other royal houses of Europe are Davidic as well.